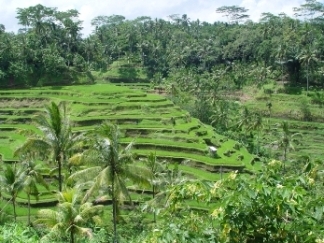 Ubud is located 35 km northeast of Bali Airport, Ngurah rai. 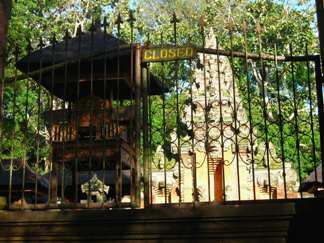 This place offer an nice and quite place compare to other destinations in Bali. A peaceful and lovely town surrounding by mountain and green rice paddy fields. If you like peace and quiet, this is the right place for you. You won’t see the night life and noisy crowd in here. You will wake up by singing birds with the rice paddy fields if you look outside from your room, isn’t it beautiful thought?? At least, I love that. 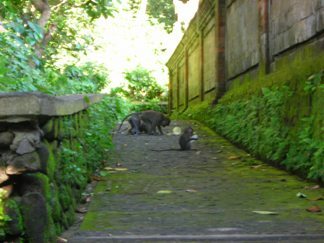 I’m not a party type, and I don’t like so much about night life, so this lovely village offer a very nice place, also for you if you like walking around the paddy fields, like art and culture and a nice place to spend your days to explore the culture of Bali. This is a village with friendly and social people, a place where days easily turn into weeks and weeks into months. This place has also countless great bookstore, and if you like reading, you won’t get boring here. 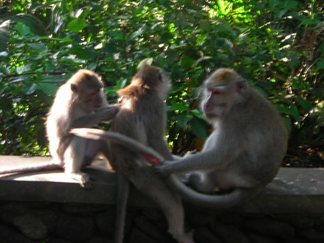 And there is another attraction around, the Monkey Forest. You can walk around the monkeys in this forest. They are friendly. Sometimes they will sitting on your shoulder while you feed them. And the forest itself is very beautiful and offer a cool and nice place in this warm island. 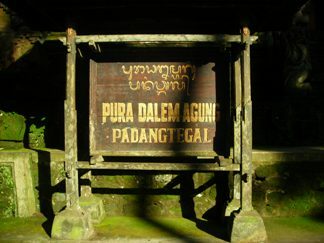 And at the highest point of this forest, you’ll find a 14th century temple called Pura Dalem Agung. Too bad when we get there the temple was close so we can’t take the pictures from the inside. 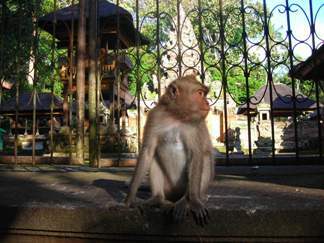 Just satisfy with the gorgeous looking of the monkey in front of the temple.